We are nearing the end of the first month of 2019, and man, time flies! But it seems like Singapore is gradually waking up from its slumber as we are about to approach our next major festival – the Lunar New Year. Even though it’s a predominantly Chinese festival, but it does not mean that people of all races and religions are unable to enjoy the festivities as well! So read on to find out what’s there to do this week as things pick up! 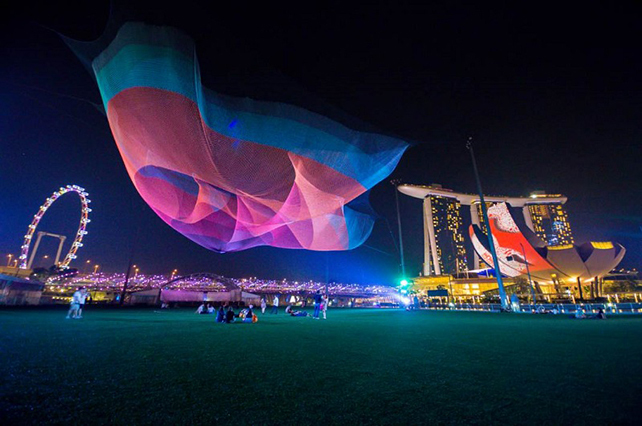 The Bicentennial Edition of i Light Singapore is Asia’s leading sustainable light art festival held various central areas of Singapore, including Marina Bay, Civic District, Singapore River and Raffles Terrace at Fort Canning Park. Kicking off on 28 January 2019 in conjunction with the launch of the Singapore Bicentennial commemoration with 33 sustainable light art installations and five exciting programming hubs. Other than the wondrous light and art displays, the festival also features a range of fringe activities for visitors to enjoy, bringing vibrancy to public spaces in our city centre! This is a must-visit this Valentine’s Day for all those couples out there! 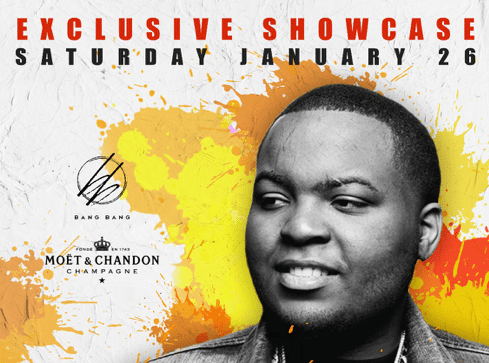 For a one night only exclusive, Bang Bang is hosting Sean Kingston, the Jamaican-American reggae fusion singer and rapper all the way through the wee hours of the night. Look forward to listening to the crowd favourites of Beautiful Girls, Take You There, and Eenie Meenie and watch Kingston set the dance floor on fire on the 26th of January! Resorts World Sentosa is at it again! After Halloween, and the Christmas festivities, RWS is now hosting various Lunar New Year-themed exhibitions all around its various attractions! From your favourite Sesame Street characters in Universal Studios Singapore, underwater sea dragon performances at the SEA Aquarium, getting your fortune read and live performances from Taiwanese superstars such as A-Mei and others, you will find yourself visiting RWS repeatedly! Check out the link below for more information! Smack My Beach Up is a recurring event at Tanjong Beach Club, but this weekend’s edition will have you going down under as it celebrates Australia Day! 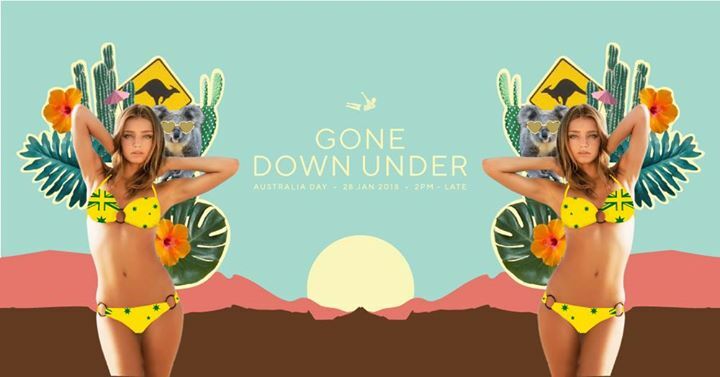 From the chill beach beats that you can choose to either relax or dance to, to the various dishes such as the Sausage Sizzle or the roast meat platter that you are accompanying your beer with, you don’t need to actually visit Australia to get a taste of how laidback the Aussies are! Make sure to check it out! We are finishing up Singapore Art Week 2019 at the Singapore Art Museum with a bang! 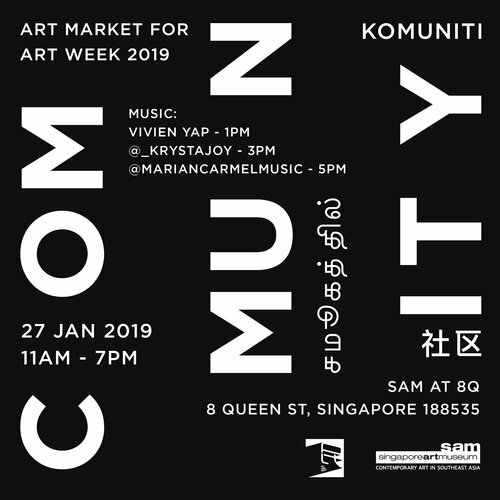 A collaborative effort between Singapore Art Museum and The Local People, the Community Art Market will have a variety of homeware, accessories, unique crafts and delicious goodies all delicately handcrafted by local artisans, designer-makers and cooks. And as with all carnivals or markets, live music performances so you can easily spend your weekend there exploring good deals while chilling to local music. NOC Advises: Things To Do Before Getting Your O Level Results! ?Aiken Goes to Penang with Air Asia!